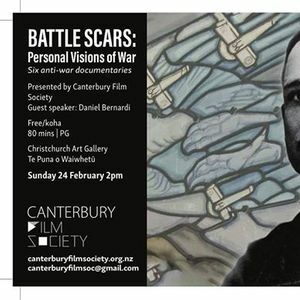 The Canterbury Film Society opens its doors to the public on Sunday 24 Feb @ 2pm for a one-off New Zealand screening of 'Battle Scars: Personal Visions of War'. These six short anti-war documentaries will fascinate anyone interested in military and other history, peace studies, activism and the wonderful diversity of human beings in all time and cultures. 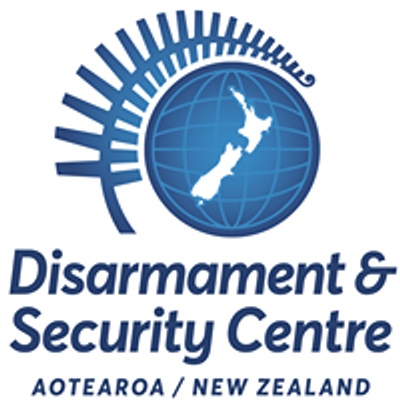 Entry is free/koha. Running time is 80mins and will be followed by Q&A. Rating is PG. No RSVP or ticketing required. Doors are open all day and drinks/food will be on sale from 1.30pm onwards. Veteran Documentary Corps director Daniel Bernardi is a dynamic speaker and film maker. His short films reveal the diverse experiences of World War I men and women including French Air Force pilot Raul Lufbery, nurse Helen Fairchild, medic John Henry Balch and African American Harlem Hellfighter Noble Sissle. Bernardi's films are part of the Corps’ global project that aims to give voice to diverse veteran communities irrespective of war or nation, and to examine the challenges (trauma, social stigma, loss of friends) and opportunities (leadership, humour, resilience) of war. There will also be a pre-screening of two documentaries made more recently in Israel. This is a rare opportunity to view unique and compelling footage and hear seldom-heard perspectives. Bernardi will speak from first-hand experience as a veteran and a Navy Reserve officer. There will be time for discussion at the end. 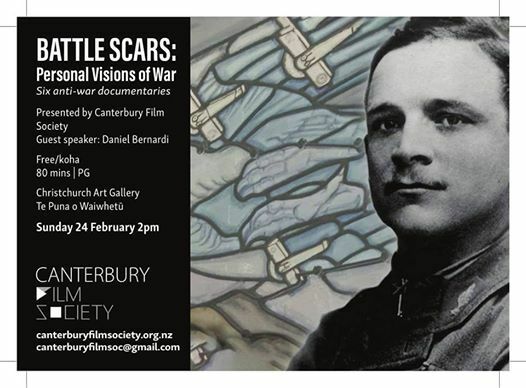 Open to the general public with free admission (koha). Rating PG.